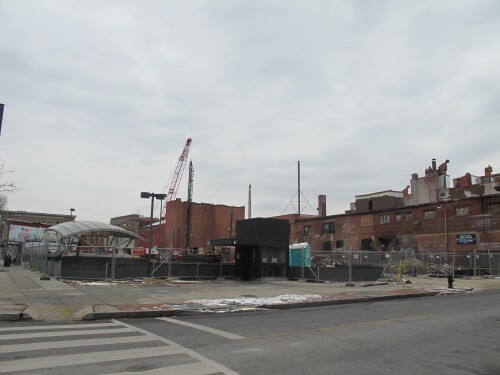 PoPville » Dear PoP – What’s Going on at 7th and S St, NW by the Shaw Metro? Dear PoP – What’s Going on at 7th and S St, NW by the Shaw Metro? UNCF is expected to purchase 50,000 square feet of office space at Seventh and S streets NW, in the $143 million development once called Broadcast Center One. The college financial aid provider is committed to building a 5,000-square-foot assistance center on the ground floor. Work on the development is expected to start in August, with a grand opening in 2012. Additionally the project, “will feature 168,000 square feet of office space, 133 apartment units and 15,000 square feet of retail space.” according to the Business Journal. Stay tuned for more updates as construction progresses. When the H St, NE Streetcar Goes Active Will a Lane of Traffic Be Lost?